If you recognize that line, it’s because it’s also used in a famous song by Rosemary Clooney — which was based on the same Armenian-American custom. I’m gonna give you everything. Coincidence? Hardly. William Saroyan co-wrote the lyrics in 1939 (though it didn’t become a hit until Rosemary Clooney recorded it nearly 12 years later in 1951.) And his co-author on the song was his cousin, a man named Ross Bagdadsarian, who 19 years later…created Alvin and the Chipmunks. Interestingly, 1939 was the year that William Saroyan declined a Pulitzer Prize. That same year, he and his cousin were writing these lyrics. Ever read an old novel, and realize how different its style is? Maybe it’s a romantic novel from the 1800s, or a rambling post-modern narrative from Ernest Hemingway. But around the 1940s, you get what I think of as “The Great American Novelists”. That is, people who were consciously setting out to write glorious, high-stakes pageants about life itself. I was a big fan of Thomas Wolfe, and finally got around to watching a breathtaking production of a Thornton Wilder play. But this all brings me back to the man I now think of as “the lost novelist”. Because you can’t buy his books for the Kindle. Today I went to a public library about three hours from where Saroyan grew up, and I pulled one of his books off the shelf. It was published in 1951, and I’d never heard of it. (It’s called Rock Wagram – the story of a Fresno bartender who later in life struggles with the unexpected pitfalls of success.) As I held the book in my hand, I thought: this is something you can’t do on a Kindle. Every man is a good man in a bad world. No man changes the world. Every man himself changes from good to bad or from bad to good, back and forth, all his life, and then dies. But no matter how or why or when a man changes, he remains a good man in a bad world, as he himself knows. All his life a man fights death, and then at last loses the fight, always having known he would. Loneliness is every man’s portion, and failure. The man who seeks to escape from loneliness is a lunatic. The man who does not laugh at these things is a bore. But the lunatic is a good man, and so is the fool, and so is the bore, as each of them knows. Every man is innocent, and in the end a lonely lunatic, a lonely fool, or a lonely bore. But there is meaning to a man. There is meaning to the life every man lives. But the scene is entirely different if you watch the movie. Saroyan quarrelled bitterly with the film’s producers, and actually wrote a novel-version of the movie, after-the- fact, to try to make the story more hard-hitting. In the movie, the kindly librarian tells two little boys that she’s been reading books for more than 70 years. Tonight I looked up the same scene in Saroyan’s book version. The two boys still visit the librarian, and she gives the same speech. But in the book, she only insists that she’s been in the world reading books for sixty years. 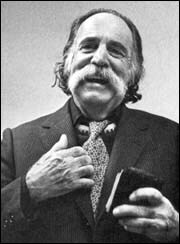 It’s a interesting counterpoint to the life of William Saroyan. His popularity declined, and he eventually funded a foundation to publish his works — possibly just to shore up his legacy. So it’s interesting what happens when you look for Saroyan ebooks for the Kindle. The Kindle Kills a Minister? Digital readers are now part of the popular consciousness. 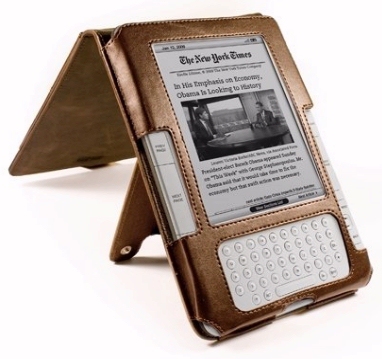 In the year 2010, I turned to the mass media — and saw people who were talking about the Kindle. 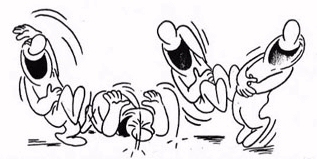 A reporter asked me if I was worried about possible price increases in all Kindle books from Macmillan publishers. And I said no — because most of the books I read on my Kindle are free! And that’s just in the top 100! I’ve seen other classics with a sales rank just below that, so I know other Kindle owners are “buying” free books as well. The list of free books on my own Kindle fills up nearly three pages. Curious? Here’s a quick sample…. Maybe it’s the dirty secret about the popularity of digital readers. A traditional bookstore will still charge you for a hard copy of a classic. But on digital readers, they’re all free. And (judging from Amazon’s best-seller list) the classics are already extremely popular. Now I’ll admit I don’t know how popular the classics were before, in print editions. But they’ve got to be even more attractive when they’re absolutely cost-free. I’d already started to think that digital readers will change reading as a pastime. But one of the surprising results may also be an increased popularity in the classics! Apparently the words “Digital Book” have become a household phrase now — it’s considered so common that even game show contestants are expected to know it! And as I pondered what this meant, I received confirmation just a few episodes later. Could Apple's iPad Kill the Kindle? I’ve heard an interesting rumor about Apples’ “tablet” device — which could be released as soon as next week. One analyst described the possibility of “a bigger iPhone, big enough to read with.” It’ll still have a backlit screen, presumably, so the Kindle still offers a superior reading experience. But Apple’s tablet will further legitimize the Kindle — since more people will now be carrying a Kindle-sized device! I think this firmly establishes the tablet “category” of devices – and now they’re just getting more sophisticated. The Nook gave digital readers some color on their menus, and Apple’s tablet just brings the color to the entire screen. There’s already a Kindle app for the iPhone, but now Apple’s making it available on a tablet-sized device. The devices are becoming more and more similar — but personally, I’d like to see the evolution go in the opposite direction. Maybe someday we’ll see an iPhone with a Kindle-like screen — one that isn’t backlit, and that uses natural light! hadn’t changed much over the previous two thousand years. I mean, it started with pictures that cavemen drew on the walls. Eventually humanity developed text (and of course, text accompanied by pictures). But it took until the 20th century before we’d developed moving pictures. (And within a few decades, that was upgraded into moving pictures with sound.) Now we’ve finally reached the next milestone: live moving pictures with sound — which means we can just look at our friends and loved ones, and even enjoy a real-time conversation. But out of all these developments, I’m still most excited about the books. Here’s one of the things I love about my Kindle. Not only am I successfully juggling 10 different books at one time. They’re all free! I live near San Francisco, so it’s especially fun to read what’s essentially a blog post about the city…written in 1836. That’s from Two Years Before the Mast, a young Harvard grad’s journal of his years working as a common ship’s hand — as they work their way up the Mexican territory on the Pacific Coast which, just 13 years later, would enter America as the state of California. It’s one of the first moments where I’ve felt such an intimate connection to someone who lived nearly two centuries ago. But while young Richard Henry Dana was traveling in what was then a foreign land, he seems lonely but intrigued, which gave him a special willingness to share his sincere human reactions with a concise humility. My girlfriend told me Dana was a student of Ralph Waldo Emerson at Harvard, and Dana’s father was a poet. But in his own honest way, I think Dana stumbled into the grandness of literature itself. Yet a sailor’s life is at best, but a mixture of a little good with much evil, and a little pleasure with much pain. There’s so many things I want to say. I’m reading 10 books at once — Jules Verne, Bret Harte, James Fenimore Cooper, and more. I’m reading Robin Hood, The Three Musketeers, and a mystery by A. A. Milne — all at the same time. I’m playing Minesweeper! I’m listening to mp3s! And — if I can believe this book’s description — soon I’ll even be playing Sudoku on my Kindle. At 12:38 a.m. on Thursday, October 29, I bought my Kindle — refurbished — on Amazon.